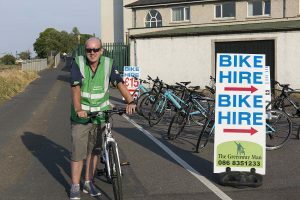 Dungarvan Bike Hire run by The Greenway Man. This is is in addition to the Durrow base. Dungarvan Bike Hire is a second base for The Greenway Man. Based at Davitts Quay and located on the start of the Waterford Greenway. It is an ideal location for your to start your journey on the greenway with the free public car park just beside it. 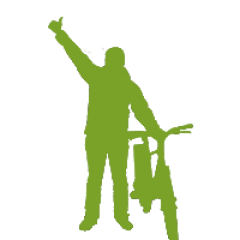 Call in to Dungarvan Bike Hire for all your greenway cycling needs. This is a great addition to the bike hire for the Waterford Greenway he provides from the base in Durrow.